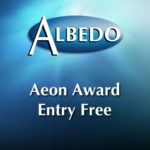 As a very special offer to Aeon Award contest entrants, you can now pay your €8.50 entry fee and for just €1.50 extra (i.e., €10 total) purchase your own copy of Aeon Press’s premiere collection, Emerald Eye, at an 85% discount, including free postage and packaging. 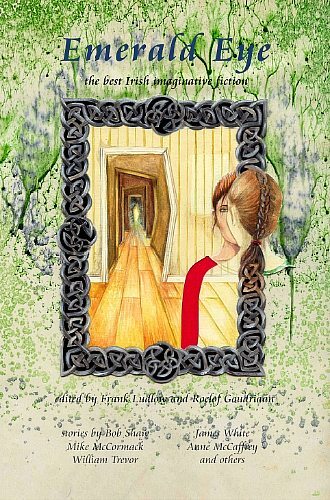 Emerald Eye: Best Irish Imaginative Fiction, edited by Frank Ludlow and Roelof Goudriaan, is the only collection of science fiction, fantasy and horror by contemporary Irish authors yet published, and features some favourites from the Albedo One back catalogue. A good choice to get an idea of the sort of stories that the Aeon Award interim judges panel is looking for. Emerald Eye is a celebration of all things fantastic in modern Irish writing. Stories of fevered imagination have been part of the Irish psyche from the oral tradition through to the present. 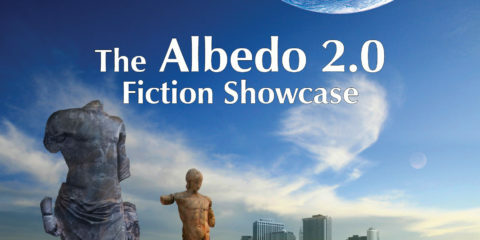 Emerald Eye puts together the very best of modern science fiction, fantasy and horror from the pens of genre masters such as Anne McCaffrey, Bob Shaw, James White and many others. It blends them with highly imaginative work from literary masters like William Trevor and Mike McCormack. A heady mix to thrill, to scare, but most of all to enjoy. Stories by: William Trevor, Mike McCormack, Anne McCaffrey, James White, Bob Shaw, Sam Millar, Fred Johnston, John W. Sexton, Mike O’Driscoll, Michael Carroll, Dermot Ryan, Nigel Quinlan, John Kenny, Robert Neilson, David Murphy, Sean MacRoibin, James Lecky, David Logan. This 292 page trade paper back, launched by Anne McCaffrey at Interaction, the 2005 World Science Fiction Convention in Glasgow, usually retails for €9.99.